Lester Bowles "Mike" Pearson, Suez Canal Crisis. He was the 14th Prime Minister of Canada from 22 April 1963 to 20 April 1968, as the head of two back-to-back Liberal minority governments following elections in 1963 and 1965. During Pearson's time as Prime Minister, his  and is regularly ranked as one of the greatest Canadian Prime Ministers. Pearson was born in the township of York, Ontario, (now a part of Toronto), the son of Annie Sarah (née Bowles) and Edwin Arthur Pearson, a Methodist (later United Church of Canada) minister. He was the brother of Vaughan Whitier Pearson and Marmaduke Pearson. Pearson graduated from Hamilton Collegiate Institute in Hamilton, Ontario, in 1913 at the age of 16. Later that same year, he entered Victoria College at the University of Toronto, where he lived in residence in Gate House and shared a room with his brother Duke. He was later elected to the Pi Gamma Mu social sciences honour society's chapter at the University of Toronto for his outstanding scholastic performance in history and sociology. After Victoria College, Pearson won a scholarship to study at St John's College, Oxford. At University of Toronto, he became a noted athlete, excelling in rugby union, and also playing basketball. He later also played for the Oxford University Ice Hockey Club while on a scholarship at the University of Oxford, a team that won the first Spengler Cup in 1923. Pearson also excelled in baseball and lacrosse as a youth, and played golf and tennis as an adult. His baseball talents were strong enough for a summer of semipro play with the Guelph Maple Leafs of the Ontario Intercounty Baseball League. When World War I broke out in 1914, Pearson volunteered for service as a medical orderly with the University of Toronto Hospital Unit. In 1915, he entered overseas service with the Canadian Army Medical Corps as a stretcher bearer with the rank of private, and was later commissioned as a lieutenant. During this period of service he spent two years in Egypt and in Greece. He also spent time in the Serbian Army as a corporal and a medical orderly. 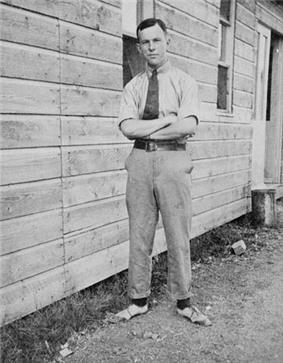 In 1917, Pearson transferred to the Royal Flying Corps, since the Royal Canadian Air Force did not exist at that time, where he served as a flying officer until being sent home with injuries from two accidents. Pearson learned to fly at an air training school in Hendon, England. He survived an aeroplane crash during his first flight. In 1918, Pearson was hit by a bus in London during a citywide blackout and he was sent home to recuperate, but then he was discharged from the service. It was as a pilot that he received the nickname of "Mike", given to him by a flight instructor who felt that "Lester" was too mild a name for an airman. Thereafter, Pearson would use the name "Lester" on official documents and in public life, but was always addressed as "Mike" by friends and family. After the war, he returned to school, receiving his Bachelor of Arts degree from the University of Toronto in 1919. He was able to complete his degree after one more term, under a ruling in force at the time, since he had served in the military during the war. He then spent a year working in Hamilton and Chicago, in the meat-packing industry, which he did not enjoy. Upon receiving a scholarship from the Massey Foundation, he studied for two years at St John's College at the University of Oxford, where he received a B.A. degree with Second-Class honours in modern history in 1923, and the M.A. in 1925. After Oxford, he returned to Canada and taught history at the University of Toronto, where he also coached the Varsity Blues Canadian football team, and the Varsity Blues men's ice hockey team. In 1925, he married Maryon Moody (1901–89), who was one of his students at the University of Toronto. Together, they had one daughter, Patricia, and one son, Geoffrey. Pearson with Canada House, London. 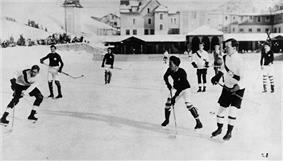 Ice hockey in Europe; Oxford University vs. Switzerland, 1922. Future Canadian Prime Minister Lester Pearson is at right front. His nickname from the Swiss was "Herr Zig-Zag". In 1927, after scoring the top marks on the Canadian foreign service entry exam, he then embarked on a career in the Department of External Affairs. Pearson was assigned to London in the late 1930s, and he served there during World War II from 1939 through 1942 as the second-in-command at Canada House, where he coordinated military supply and refugee problems, serving under High Commissioner Vincent Massey. Pearson returned to Ottawa for a few months, where he was an assistant under secretary from 1941 through 1942. In June 1942 he was posted to the Canadian Embassy in Washington, D.C., as a ministerial counselor. He served as second-in-command for nearly two years. Promoted minister plenipotentiary, 1944, he became the second Canadian Ambassador to the United States on 1 January 1945. He remained in this position through September 1946. During World War II, Pearson once served as a courier with the codename of "Mike." He went on to become the first director of signals intelligence. Pearson nearly became the first Secretary-General of the United Nations in 1945, but this move was vetoed by the Soviet Union. The Canadian Prime Minister, William Mackenzie King, tried to recruit Pearson into his government as the war wound down. Pearson felt honoured by King's approach, but he resisted at the time, due to his personal dislike of King's poor personal style and political methods. Pearson did not make the move into politics until a few years later, after King had announced his retirement as the Prime Minister of Canada. Pearson presiding at a plenary session of the founding conference of the United Nations Food and Agriculture Organization in 1945. In 1948, Prime Minister Louis St. Laurent appointed Pearson Secretary of State for External Affairs (foreign minister) in the Liberal government. Shortly afterward, he won a seat in the Canadian House of Commons, for the federal riding of Algoma East in northern Ontario. In 1957, for his role in resolving the United Nations Security Council. 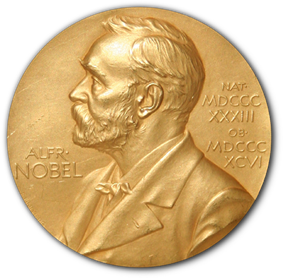 His Nobel medal is on permanent display in the front lobby of the Lester B. Pearson Building, the headquarters of the Department of Foreign Affairs and International Trade in Ottawa. St. Laurent was defeated by the Progressive Conservatives under John Diefenbaker in the election of 1957. After just a few months as Leader of the Opposition, St. Laurent retired, and he endorsed Pearson as his successor. Pearson was elected leader of the Liberal Party at its leadership convention of 1958, defeating his chief rival, former cabinet minister Paul Martin, Sr.
At his first parliamentary session as Opposition Leader, Pearson asked Diefenbaker to give power back to the Liberals without an election, because of a recent economic downturn. This strategy backfired when Diefenbaker showed a classified Liberal document saying that the economy would face a downturn in that year. This contrasted heavily with the Liberals' campaign promises of 1957. Consequently, Pearson's party was badly routed in the federal election of 1958, losing over half their seats, while Diefenbaker's Conservatives won the largest majority ever seen in Canada to that point (208 of 265 seats). The election also cost the Liberals their stronghold in Quebec. This province had voted largely Liberal in federal elections since the Conscription Crisis of 1917, but Quebec had no favourite son leader, as it had had since 1948. Pearson convened a significant "Thinkers' Conference" at Kingston, Ontario in 1960, which developed many of the ideas later implemented when he became the Prime Minister. In the federal election of 1962, Pearson's party reset the Tories as minority government. Not long after the election, Pearson capitalized on the Conservatives' indecision on accepting American nuclear warheads on Canadian BOMARC missiles. Defence Minister Douglas Harkness resigned from Cabinet on 4 February 1963, because of Diefenbaker's opposition to accepting the warheads. On the next day, the government lost two nonconfidence motions on the issue, forcing a national election. In that election, the Liberals took 129 seats to the Tories' 95. Despite winning 41 percent of the vote, the Liberals came up five seats short of a majority largely because of winning just three seats on the Prairies. With the support of the New Democratic Party, Pearson won enough support to form a minority government, and he was sworn in as the Prime Minister on 22 April 1963. 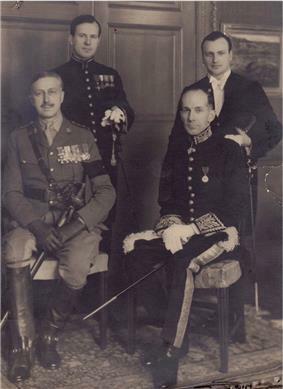 Pearson, and three of his cabinet ministers who later became Prime Ministers. 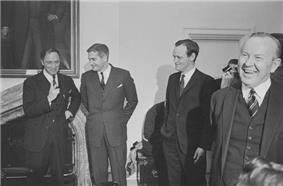 From left to right, Pierre Trudeau, John Turner, Jean Chrétien, and Pearson. Pearson campaigned during the election promising "60 Days of Decision" and support for the BOMARC surface-to-air missile program. Pearson never had a majority in the Canadian House of Commons, but he brought in many of Canada's major updated social programs, including universal health care, the Canada Pension Plan, and Canada Student Loans, and he instituted a new national flag, the Maple Leaf flag. He also instituted the 40-hour work week, two weeks vacation time, and a new minimum wage. On 15 January 1964, Pearson became the first Canadian Prime Minister to make an official state visit to France. Pearson signed the Canada-United States Automotive Agreement (or Auto Pact) in January 1965, and unemployment fell to its lowest rate in over a decade. While in office, Pearson declined U.S. requests to send Canadian combat troops into the Vietnam War. Pearson spoke at Temple University in Philadelphia on 2 April 1965, while visiting the United States and voiced his support for a pause in the American bombing of North Vietnam, so that a diplomatic solution to the crisis may unfold. To President Lyndon B. Johnson, this criticism of American foreign policy on American soil was an intolerable sin. Before Pearson had finished his speech, he was summoned to Camp David, Maryland, to meet with Johnson the next day. Johnson, who was notorious for his personal touch in politics, reportedly grabbed Pearson by the lapels and shouted, "Don't you come into my living room and piss on my rug." Pearson later recounted that the meeting was acrimonious, but insisted the two parted cordially. After this incident, L.B.J. and Pearson did have further contacts, including two more meetings together, both times in Canada as the United States relied on Canada's raw materials and resources to fuel and sustain its efforts in the Vietnam War. Pearson also started a number of Royal Commissions, including the Royal Commission on the Status of Women and the Royal Commission on Bilingualism and Biculturalism. These suggested changes that helped create legal equality for women, and brought official bilingualism into being. After Pearson's term in office, French was made an official language, and the Canadian government provided services in both English and French. Pearson himself had hoped that he would be the last unilingual Prime Minister of Canada and fluency in both English and French became an unofficial requirement for candidates for Prime Minister after Pearson left office. Pearson's government endured significant controversy in Canada's military services throughout the mid-1960s, following the tabling of the White Paper on Defence in March 1964. This document laid out a plan to merge the Royal Canadian Navy, the Royal Canadian Air Force, and the Canadian Army to form a single service called the Canadian Forces. Military unification took effect on 1 February 1968, when The Canadian Forces Reorganization Act received Royal Assent. Pearson has been credited with instituting the world's first race-free immigration system. Credit for who created the policy, however, is disputed, and likely should be shared with John Diefenbaker. Diefenbaker's government in 1962 introduced a new race-free policy; however, under the 1962 policy, Americans were still given an advantage. It was in 1967 that Pearson introduced a discrimination-free points-based system which encouraged immigration to Canada, a forerunner of the system still in place today. Pearson also oversaw Canada's centennial celebrations in 1967 before retiring. The Canadian news agency, The Canadian Press, named him "Newsmaker of the Year" that year, citing his leadership during the centennial celebrations, which brought the Centennial Flame to Parliament Hill. Also in 1967, the President of France, Charles de Gaulle, made a visit to Quebec. During that visit, de Gaulle was a staunch advocate of Quebec separatism, even going so far as to say that his procession in Montreal reminded him of his return to Paris after it was freed from the Nazis during the Second World War. President de Gaulle also gave his "Vive le Québec libre" speech during the visit. Given Canada's efforts in aid of France during both world wars, Pearson was enraged. He rebuked de Gaulle in a speech the following day, remarking that "Canadians do not need to be liberated" and making it clear that de Gaulle was no longer welcome in Canada. The French President returned to his home country and would never visit Canada again. After his 14 December 1967 announcement that he was retiring from politics, a leadership convention was held. Pearson's successor was Pierre Trudeau, whom Pearson had recruited and made justice minister in his cabinet. Two other cabinet ministers Pearson had recruited, John Turner and Jean Chrétien, served as prime ministers following Trudeau's retirement. Paul Martin Jr., the son of Pearson's External Affairs Minister Paul Martin Sr., also went on to become prime minister. From 1968 to 1969, Pearson served as chairman of the Commission on International Development (the Pearson Commission), which was sponsored by the World Bank. Immediately following his retirement, he lectured in history and political science at Carleton University while writing his memoirs. From 1970 to 1972, he was the first chairman of the Board of Governors of the International Development Research Centre. 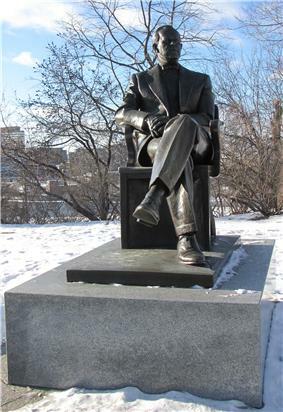 From 1969 until his death in 1972, he was chancellor of Carleton University in Ottawa. In 1970, Pearson underwent a surgery to have his right eye removed in order to remove a tumor in that area. In November 1972, it was reported that Pearson was admitted to the hospital for further unspecified treatment. His condition deteriorated rapidly by Christmas Eve. On 27 December 1972, it was announced that the cancer had spread to the liver and Pearson had lapsed into a coma. He died at 11:40 pm ET on 27 December 1972 in his Ottawa home. Pearson is buried at MacLaren Cemetery in Wakefield, Quebec (just north of Gatineau), next to his close External Affairs colleagues H. H. Wrong and Norman Robertson. Appointed an Officer of the Order of the British Empire. Elected a Foreign Honorary Member of the American Academy of Arts and Sciences in 1957. The Canadian Press named Pearson "Newsmaker of the Year" nine times, a record he held until his successor, Pierre Trudeau, surpassed it in 2000. He was also only one of two prime ministers to have received the honour both before and when prime minister (the other being Brian Mulroney). Pearson was inducted into the Canadian Peace Hall of Fame in 2000. The Pearson Medal of Peace, first awarded in 1979, is an award given out annually by the United Nations Association in Canada to recognize an individual Canadian's "contribution to international service". A plaque at the north end of the North American Life building in North York, placed by the Willowdale Federal Liberal Party Association commemorates the location where the manse in which Pearson was born previously stood. Another plaque, placed by the Ontario Heritage Trust, is on the grounds of Newtonbrook United Church, the successor congregation to the one that owned the manse. In a survey by Canadian historians of the first 20 Prime Ministers through Jean Chrétien, Pearson ranked #6. In a survey by Canadian historians of the Canadian prime ministers who served after World War II, Pearson was ranked first "by a landslide." Former Prime Minister of Canada. For his services to Canada at home and abroad. Lester B. Pearson College, opened in 1974, is a United World College near Victoria, British Columbia. The Pearson Peacekeeping Centre, established in 1994, is an independent not-for-profit institution providing research and training on all aspects of peace operations. The Lester B. Pearson School Board is the largest English-language school board in Quebec. The majority of the schools of the Lester B. Pearson School Board are located on the western half of the island of Montreal, while a few of its schools located off the island. Lester B. Pearson High School lists five so-named schools, in Burlington, Calgary, Montreal, Ottawa, and Toronto. There are Lester B. Pearson elementary schools in Ajax, Ontario; Aurora, Ontario; Brampton, Ontario; London, Ontario; Saskatoon, Saskatchewan; Waterloo, Ontario and Wesleyville, Newfoundland. Toronto Pearson International Airport, first opened in 1939 and re-christened with its current name in 1984, is Canada's busiest airport. The Lester B. Pearson Building, completed in 1973, is the headquarters for the Department of Foreign Affairs and International Trade, a tribute to his service as external affairs minister. Lester B. Pearson Place, completed in 2006, is a four storey affordable housing building in Newtonbrook, Toronto, near his place of birth, and adjacent to Newtonbrook United Church. Lester B. Pearson Park in St. Catharines, Ontario. Pearson Avenue is located near Highway 407 and Yonge Street in Richmond Hill, Ontario, Canada; less than five miles from his place of birth. Pearson Way is an arterial access road located in a new subdivision in Milton, Ontario; many ex-prime ministers are being honoured in this growing community, including Prime Ministers Pierre Trudeau and Wilfrid Laurier. Pearson Plaza, a mall being developed in Elliot Lake to replace the Algo Centre Mall. Pearson Park, a playground built in 2013 in Wesleyville, Newfoundland. The award for the best National Hockey League player as voted by members of the National Hockey League Players' Association (NHLPA) was known as the Lester B. Pearson Award from its inception in 1971 to 2010, when its name was changed to the Ted Lindsay Award to honour one of the union's pioneers. Pearson was inducted into the Sports Hall of Fame at the University of Toronto in 1987. Pearson was inducted into the Canadian Baseball Hall of Fame in 1983. The Pearson Cup was a baseball competition between the Toronto Blue Jays and Montreal Expos. Pearson also served as Expos' Honorary Club President from 1969-72. ^ a b MacDonald, L. Ian. "The Best Prime Minister of the Last 50 Years — Pearson, by a landslide," Policy Options, June–July 2003. Accessed 3 April 2014. ^ a b "Pearson, Lester Bowles". ^ "Biography". The Nobel Peace Prize 1957 - Lester Bowles Pearson. ^ EncyclopediaCanadiana (1972). "He attended many international conferences and was active in the U.N. from its inception." and "He signed the North Atlantic Treaty for Canada in 1949 and represented his country at subsequent NATO Council meetings, acting as the chairman in 1951-52." ^ "On This Day - Jan. 15, 1964 - First state visit to France by a Canadian PM". CBC Digital Archives. ^ "The Auto Pact: En Route to Free Trade". CBC Digital Archives. Canadian Broadcasting Corporation. Retrieved 29 August 2011. ^ FitzGerald, Frances (8 August 2004). "The View From Out There". ^ "Presidential visits with heads of state and chiefs of government". ^ Daume, Daphne; Watson, Louise, eds. (1967). Britannica Book of the Year 1967. Chicago: Also OCLC 19056858. ^ Editorial Board (3 November 2009). "Racist immigration policy must change". ^ Korski, Tom (3 November 2010). "Liberals abolished race-based immigration: Political myth". ^ McIntyre, Tobi (January–February 2001). "Visible majorities: History of Canadian immigration policy". ^ "Pearson hovers near death as cancer spreads to his liver". The Globe and Mail. 28 December 1972. Retrieved 17 September 2014. ^ "Lester Pearson dies in Ottawa". The Globe and Mail. 28 December 1972. Retrieved 17 September 2014. ^ "Historic Sites and Monuments Board of Canada - Former Prime Ministers and Their Grave Sites - The Right Honourable Lester Bowles Pearson". Parks Canada. Government of Canada. 20 December 2010. Retrieved 27 February 2014. ^ Dale, William (Spring 2000). "On Lester "Mike" Pearson of Canada". ^ "Book of Members, 1780-2010: Chapter P". American Academy of Arts and Sciences. Retrieved 15 April 2011. ^ "Canadian Peace Hall of Fame". Canadian Centres for Teaching Peace. Retrieved 29 August 2011. 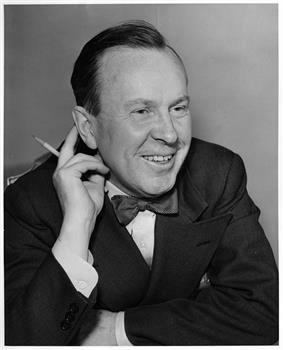 ^ a b Brown, Alan L. "The Right Honourable Lester Bowles Pearson, 1897-1972". Toronto's Historical Plaques. Retrieved 29 August 2011. ^ "Right Honourable Lester Bowles Pearson 1897-1972, The". Plaque Information. ^ "Lester B. Pearson, P.C., C.C., O.M., O.B.E., M.A., LL.D". Honours - Order of Canada. ^ "The Lester B. Pearson School Board". ^ "Lester B. Pearson Civic Centre". City of Elliot Lake. Retrieved 15 October 2010. ^ "Lester B. Pearson Place: A Project of NUC-TUCT Non-Profit Homes Corporation". Newtonbrook United Church. Retrieved 29 August 2011. ^ "Lester B. Pearson Park". Corporation of the City of St. Catharines. 2010. Retrieved 29 August 2011. ^ "Lester B. Pearson, Class of 1919". Hall of Fame - Induction Class of 1987. University of Toronto Intercollegiate Athletics. Retrieved 29 August 2011. ^ "Honorary Degree Recipients". Library.rochester.edu. 22 February 2007. Retrieved 28 July 2010. ^ "Bates College | Honorary Degrees, 1950-59". Bates.edu. Retrieved 28 July 2010. ^ "Princeton - Honorary degrees Awarded". Princeton.edu. Retrieved 28 July 2010. ^ "University of British Columbia Library - University Archives". Library.ubc.ca. Retrieved 28 July 2010. ^ "Honorary Graduates of Memorial University of Newfoundland 1960". Mun.ca. Retrieved 28 July 2010. ^ "Johns Hopkins University | Commencement 2005". Jhu.edu. 19 May 2004. Retrieved 28 July 2010. ^ "Office of the President - Honorary degree recipients from 1961 to present". Oldwebsite.laurentian.ca. Retrieved 28 July 2010. ^ "UofR General Calendar: The University of Regina". Uregina.ca. Retrieved 28 July 2010. 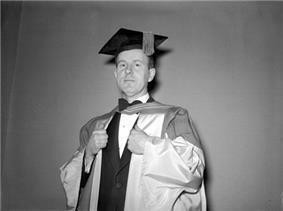 ^ "Honorary degree recipients :: University of Saskatchewan Archives". Usask.ca. Retrieved 28 July 2010. ^ "Convocation > McGill Facts and Institutional History > McGill History > Outreach". Archives.mcgill.ca. 24 March 2004. Retrieved 28 July 2010. ^ "Dalhousie University". Convocation. Retrieved 28 July 2010. John English (2011). The Worldly Years: Life of Lester Pearson 1949-1972. Random House Digital, Inc.
Pearson, Lester B; Fry, Michael G (1975). "Freedom and change" : essays in honour of Lester B. Pearson. Toronto: Also OCLC 463535217 and OCLC 300360332.